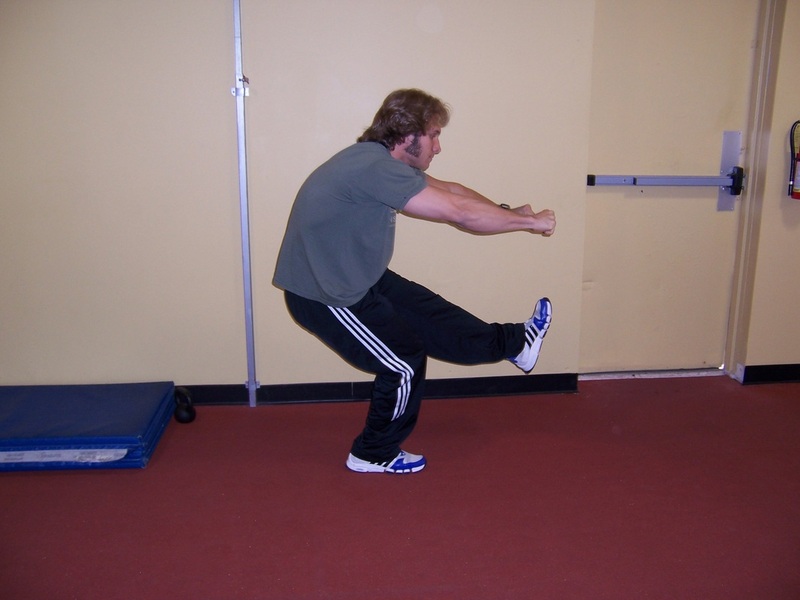 Dallas Personal Trainer - The pinnacle of bodyweight based leg strength and flexibility. It is rare to find anyone anywhere in Dallas or elsewhere (including personal trainers) that can perform even a single rep of this exercise. If you arrive at this level of strength it will not be by accident. Getting to this point requires intelligent training and quality strength program design. 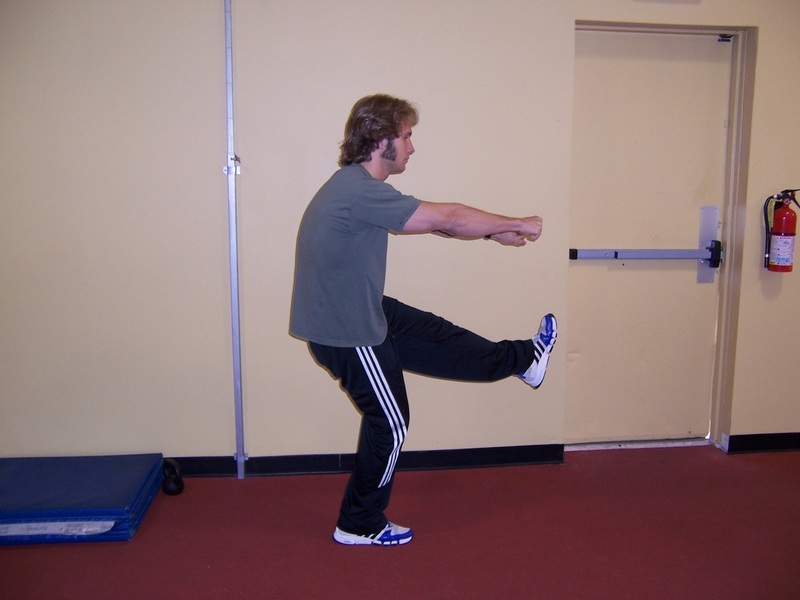 Stand on one foot, lift your other leg out straight in front of your body, stick both arms out to the front, clench your fists, and lower yourself into a squat slowly while leaning your upper body forward as far as possible. Squat all the way down, until your thigh and calf completely press together and there is no further to go. Your rear end will nearly be touching the floor at this point. You will have to keep your abdominal area very tight in order to keep from falling backward. Now, squat back up by pressing your foot firmly into the floor, while keeping your weight on your heel. It helps if you squeeze you fists very tightly as you press up. Do not bounce at the bottom and do not let your other foot touch the ground at all during the exercise. Finish all the prescribed reps on one foot, and then switch legs and perform them on the other leg. This exercise will take 100% of your focus. If you get distracted at all, you will usually fall over. Once you get strong enough to perform more reps than is prescribed by your workout program, simply begin holding a dumbbell in each hand and hugging them up close to your chest while you perform the exercise.